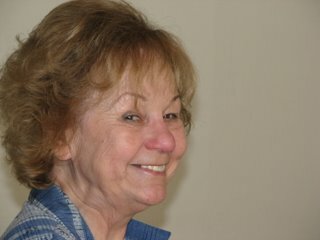 My mother, Dorothy Ruth Droddy, at 79. Still going strong with style and grace. We went to a dinner dance two weeks ago and danced the night away. She still rocks and rolls. We went to Paris back in '97 where she proceeded to jitterbug on the stage at the Folies Bergere. Since dumping her last husband back in '87, she's been to Europe a dozen times, toured China with a friendship group, and has plans to go to Russia. She also continues to work full time as a tax preparer for H. & R. Block. I'm very proud of my mother.